Chances are when you’re considering visiting Poland, you’re mostly looking at Krakow and that’s about it. I don’t blame you, I was the same. But then an opportunity to visit Warsaw Poland presented itself and I jumped at it and couldn’t be happier about the decision! 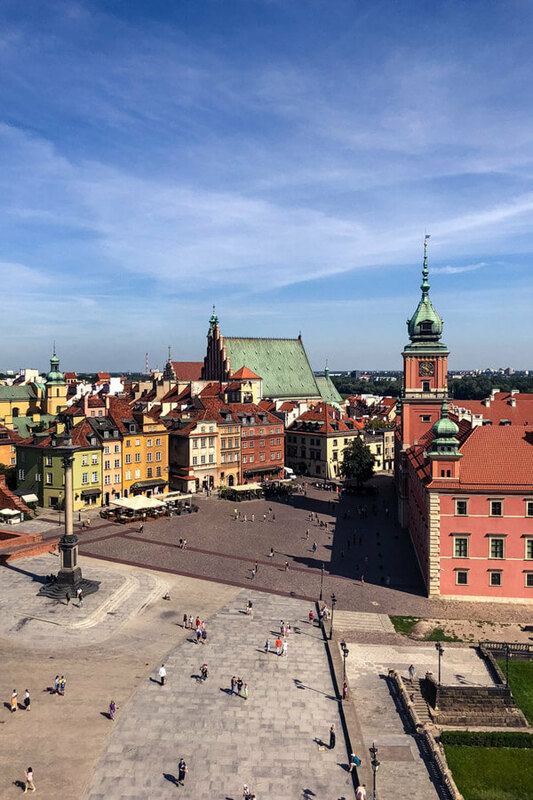 Let me explain why the city of Warsaw deserves more love and attention, not just from the locals :) I had JayWay Travel show me the place (together with Wroclaw), and also met a local blogger friend who helped uncover even more layers. 3. Warsaw is so Green! At the onset of the 20th century, Warsaw flourished. Pre-war Warsaw even used to be referred to as ‘the Paris of the North’ by the Soviets. But with the onset of World War II the history of Warsaw Poland got darker. In 1939 Nazi Germany invaded Poland and bombed Warsaw heavily. Back then, about 30% of the population, about half a million people, were Jewish. Hitler had them all herded into the so called Ghetto of Warsaw, from which they were eventually transported to concentration camps. 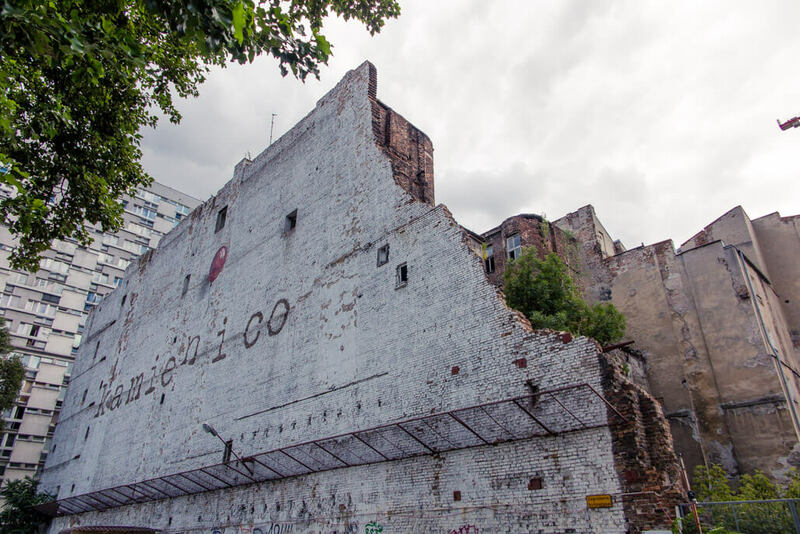 Fragments of walls left behind in Warsaw’s Jewish Ghetto. In 1943 the Jews rebelled but their protests were severely crushed. At that time the Warsaw ghetto district was essentially flattened. Only a church and a few wall fragments survived. It’s interesting to note that after the war, new development was built right on top of the flattened rubble. Can you imagine? I can highly recommend a Warsaw ghetto visit to learn even more about its history. If you love movies, check out The Pianist – it’s based on a true story of a local Jewish pianist. In addition to visiting the actual sites, you can also pay a visit to the Museum of the History of Polish Jews, locally referred to as POLIN. A mural in the former Jewish Ghetto, which was developed on top of the rubble after flattening the district. In the wake of the Red Army advance in 1944 Warsaw saw a massive local uprising. Again, it was severely crushed as the Germans retook the city and demolished it. Stalin, the Soviet leader at the time, decided to do nothing. 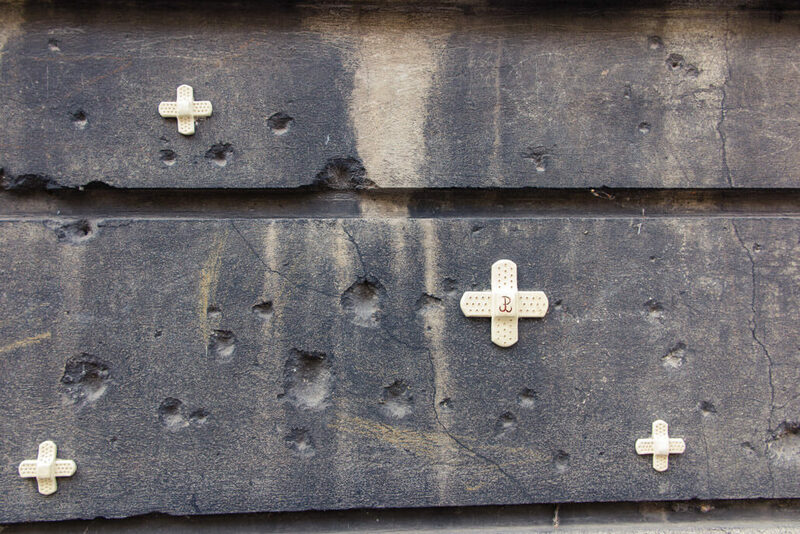 Around 700,000 people died during the German occupation. It was a year later when the Soviets finally liberated Warsaw. There are many reminders of the Uprising with the main memorial dubbed ‘Warsaw Uprising Monument’ by the Krasiński Square. 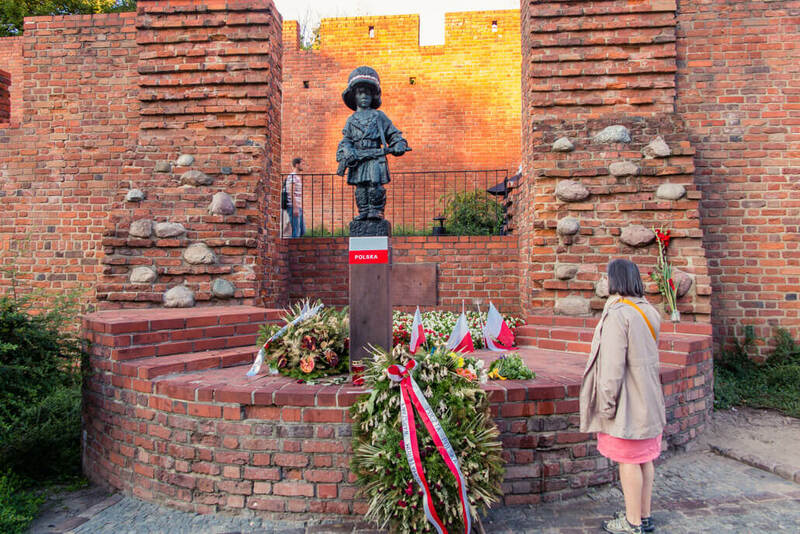 In the Old Town, you’ll also find a statue of a young boy – the ‘Little Insurrectionist’ (Mały Powstaniec). 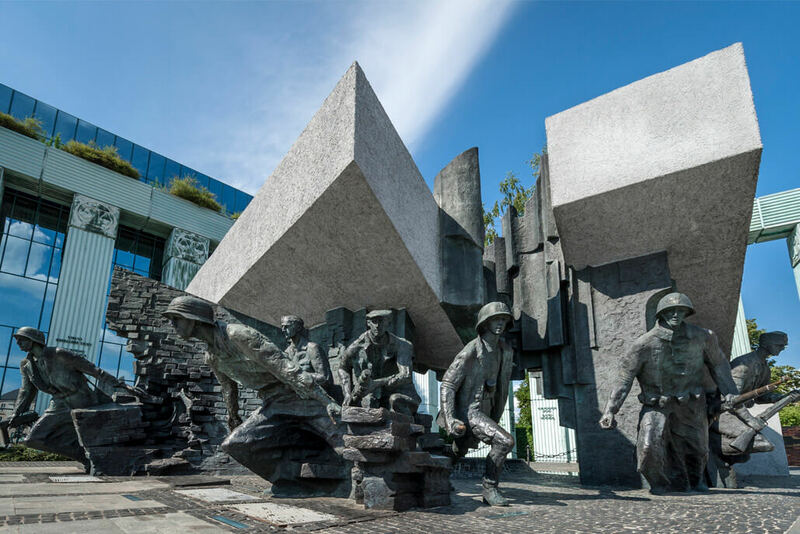 It commemorates the child soldiers who fought in the Warsaw Uprising and perished. Every year, the Polish capital remembers the Uprising with a minute of silence. At 5pm on August 1 sirens let the Poles know it’s time to remember the past. You can learn even more in the Warsaw Rising Museum. After the war came the Warsaw Pact, which was essentially a military partnership to counterbalance the power of emerging NATO. Countries in the Warsaw Pact entailed the Soviet Union and 7 Soviet satellite states of Central and Eastern Europe. In my home country (Czech Republic) the Warsaw Pact carries a bitter taste, as it was the troops of Warsaw Pact countries that invaded Czechoslovakia in August 1968 and put a bloody end to a hopeful and prosperous era known as the Prague Spring. It was the only military action of the Warsaw Pact countries (minus Romania and Albania). Learn more about the Warsaw Pact here on Wikipedia. Castle Square: Only the building on the far right survived the WW2 bombing. 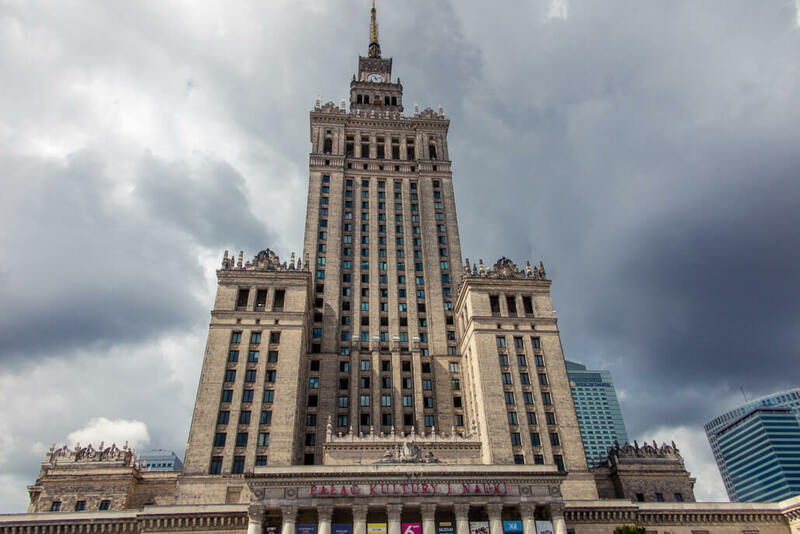 The Soviet presence largely changed the look of Warsaw. The streets were made bigger, large housing projects were built, and a few communist landmarks sprung up. You won’t be able to miss the Palace of Culture and Science, sometimes nicknamed ‘Stalin’s erection’. The Palace, which was essentially built for the people, featured concert halls, a theater and a swimming pool. If you look at it, you’ll see inspiration from some American skyscrapers of that time. To me, they resembled ones that I’ve seen in Chicago. Nowadays, the palace remains a source of controversy, since it’s a relic of the Soviet past and it still visually dominates the city. It happens to be the tallest building in the whole Poland. 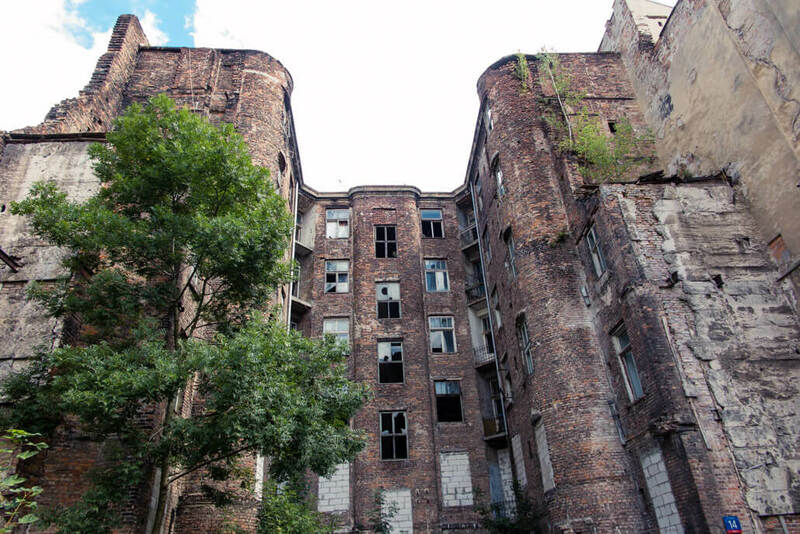 Some people want to see it torn down, while some see it as an important part of history that shouldn’t be forgotten. 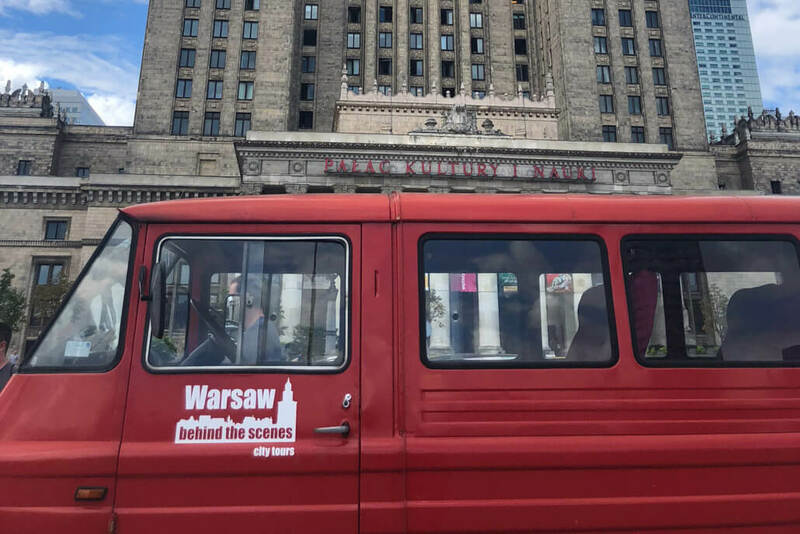 If you come to Warsaw via the Central Station, you won’t be able to miss it. The tour was a private one provided by JayWay’s partner Warsaw Behind the Scenes. If you won’t go on a tour and will rather walk everywhere on foot, then you’ll need the best walking shoes for that. This is the retro minivan we discovered the Communist side of Warsaw with. Read more about Warsaw’s history on Wikipedia. If you’re not familiar with what it was like to live in the Communist times, go check out the ‘Life Under Communism’ Museum. 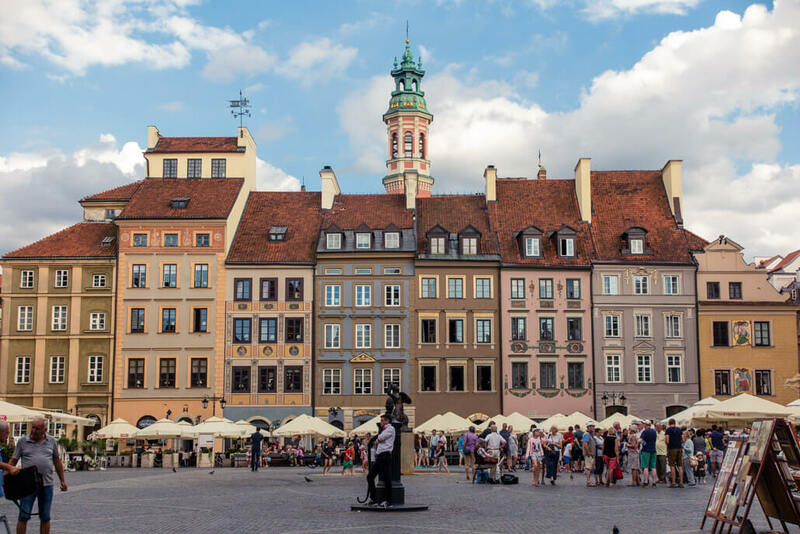 No, I’m not comparing Warsaw’s Old Town to any other city. I know, it’s not fully original, since the city was bombed so badly that only about 15% of the buildings could be saved. Nowadays, these serve as the main attractions in Warsaw. 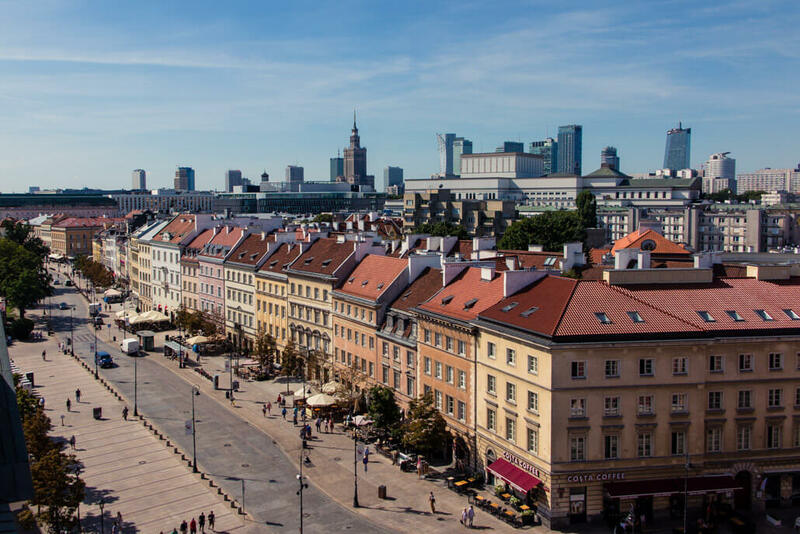 Even UNESCO praised the rebuilding of Warsaw’s Old Town and had it inscribed on the World Heritage List in 1980. So rest assured that they did a good job with the restoration. Details on a house in the Old Town. Any guesses who might have lived in this particular house? 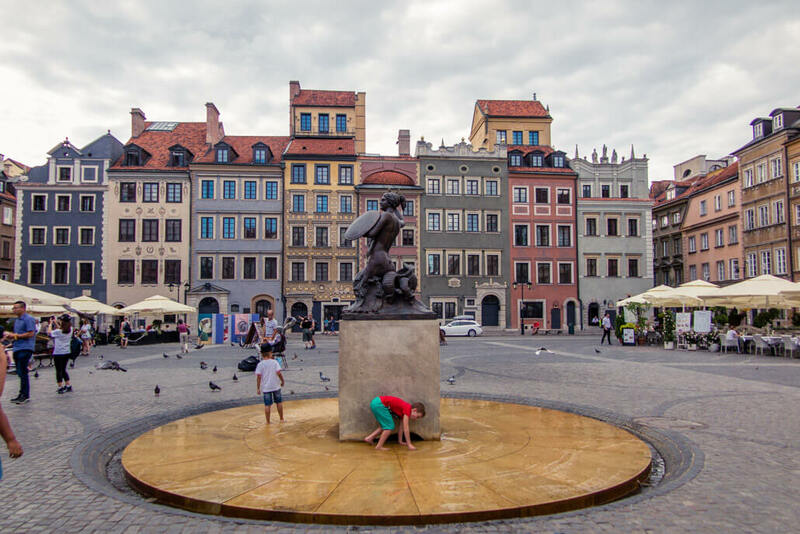 In the heart of the Old Town, in the middle of the Old Town Square, sits a statue of a mermaid called Syrenka Warszawska in Polish. A mermaid has become a symbol of Warsaw and is actually on the coat of arms too. Legend has it that a mermaid was just passing by and decided to take a rest. She liked it so much that she stayed. Local fishermen fell in love with her and when a rich merchant trapped her, they saved her. Ever since then the mermaid, armed with a sword and a shield, has been protecting the city. What the mermaid was up to during the war remains a history. Perhaps she was on holiday? If you like castles, the Royal Castle in Warsaw is for you. Originally the seat of Polish monarchs, the castle too suffered serious damage following the events of the 1944 Uprising. Nowadays, the Castle houses the ‘Royal Castle Museum’ with a permanent exhibition of oriental carpets and other oriental decorative art. 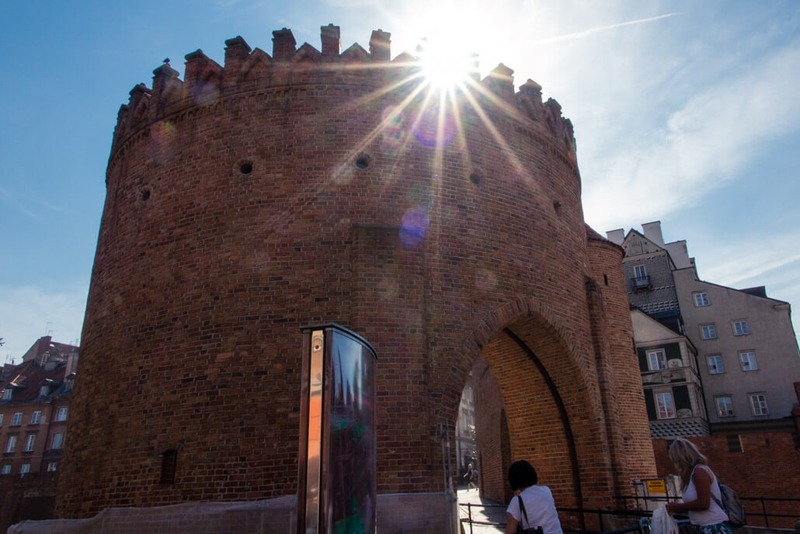 When visiting the Old Town, be sure to check out also the fortifications – the Barbican. It connects the Old and New Towns of Warsaw. It was built in the 16th century but was not really used for its original defense purpose, due to quick advances in artillery. It had to be rebuilt after the destruction of Warsaw together with the Old Town. A defence tower forming a part of the Warsaw Barbican walling the city off from enemies. For the best views of the Old Town, climb to the top of St. Anna’s Church Warsaw located right at the Castle Square. The tower opens at 10am and the entrance costs 6 zloty. Hello from Warsaw Old Town! I told you – Warsaw is GREEN! 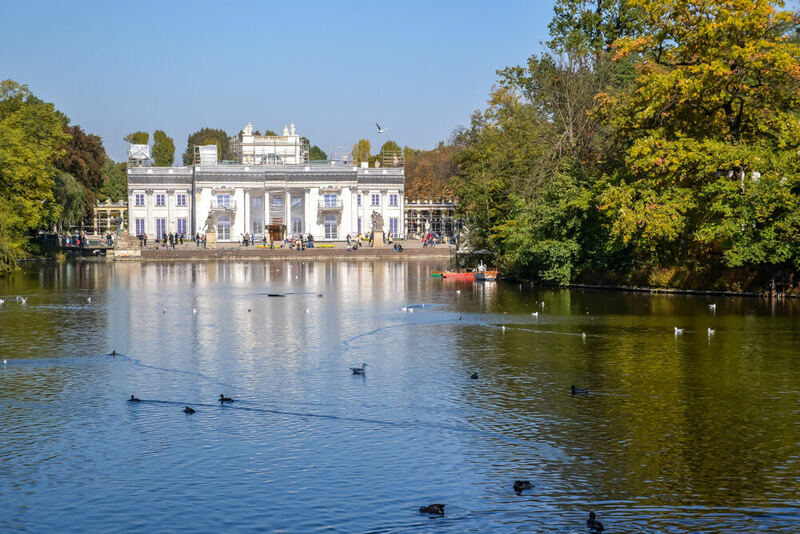 Warsaw’s largest park, the Łazienki-Krolewskie park, is located just a 10 minute bus ride away from the main square. There used to be a bathing pavilion there, from which the park derives its name – the Royal Baths Park. Apart from strolling the park for hours on end, if you have time, you shouldn’t leave out the King’s Palace built on a lake. This was King Stanisław August’s summer residence. Also the monument to Chopin is worth seeing. I only had 10 minutes for the whole park, so I ran around like a crazy person and completely missed most of it. Warsaw took me by surprise, when it came to food. I didn’t expect such a variety and a mix of both traditional and trendy flavors! 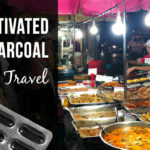 The food scene has developed tremendously in the last few years and I wouldn’t hesitate to call it a foodie’s paradise. From milk bars to more fancy restaurants, real Polish food is everywhere. And that’s good, because the Poles certainly do have some cuisine to be proud of. From pierogi (dumplings) to simple zapiekanki (half of a baguette baked in with yummy toppings), you should try as many things as you can. Everything is a bit heavy, though! Enter, look past the occassional rough service, and enjoy a meal like you would get from a Polish grandma. 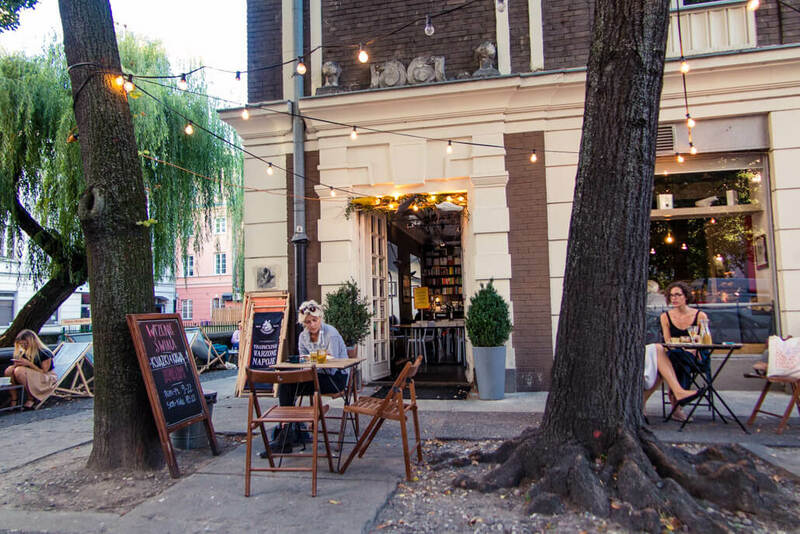 One of the best milk bars in Warsaw close to the city center is Bar Mleczny Familijny. It lies on Warsaw’s Nowy Świat (New World) Road, just about 2-3 bus stops away (or 20 minute walk) from the Castle Square. Nothing sounds familiar in this restaurant’s name, right? :) The bistro specializes in pierogy in a jar! A modern take on the traditional pierogi, here you’ll get a small mason jar containing pierogi with the ‘filling’ on top instead of on the inside. 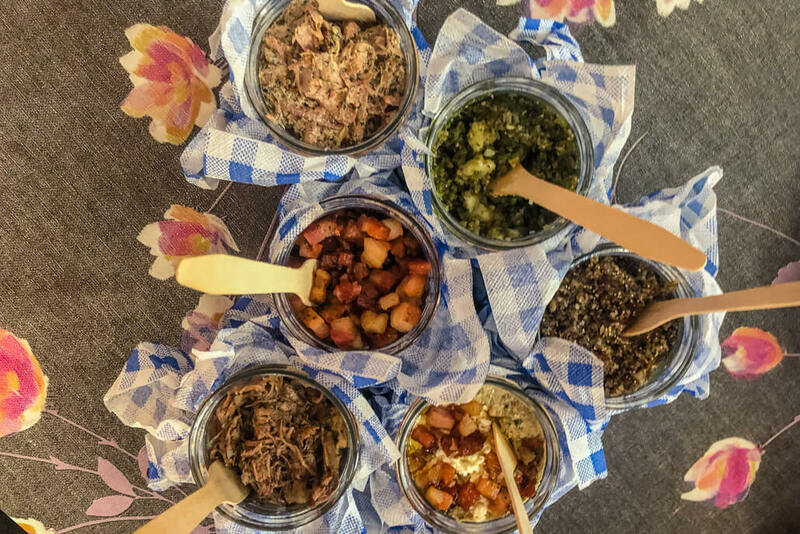 We tried a variety of flavors and loved them all. 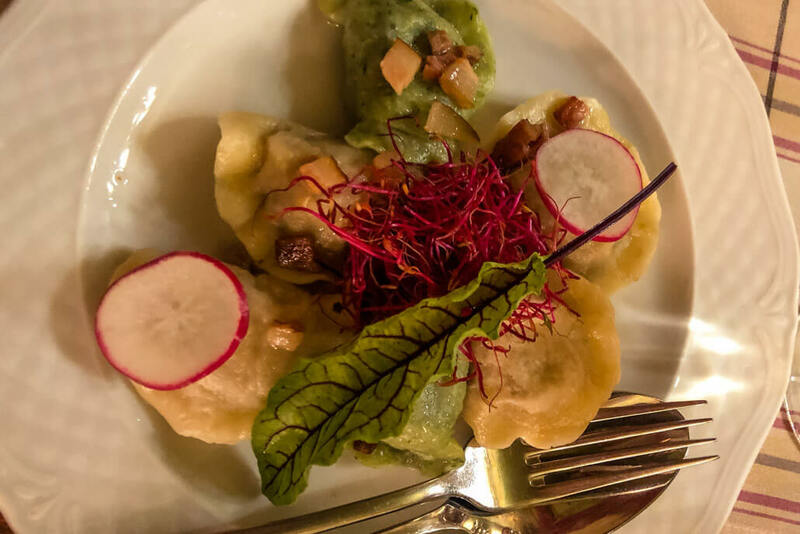 Perhaps these could be the best pierogy in Warsaw! The bistro is located near the Praga district. You can’t see it but there are pierogi in those mason jars! Yumminess from Pyzy Flaki Gorace Bistro. The high-end restaurant will amaze you as soon as you enter. 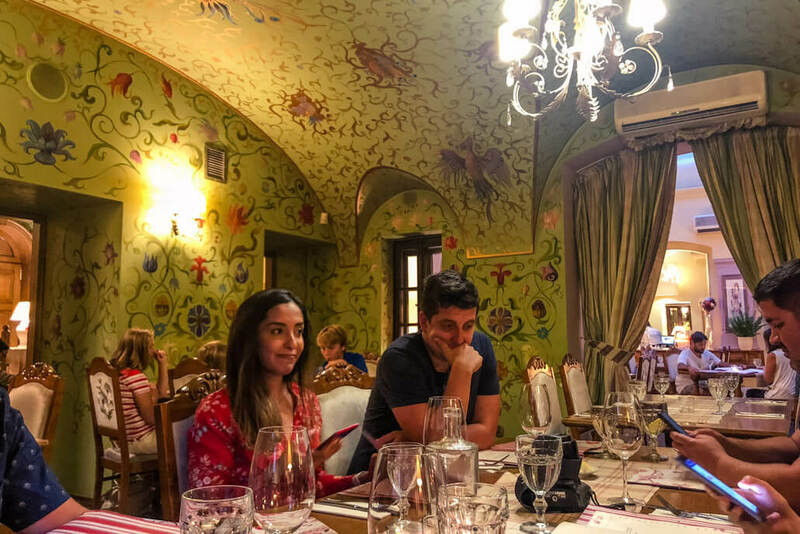 The arched interior with intricate wall paintings and décor plays to the senses even before the excellent food arrives. I was feeling a little under the weather when we had our dinner there, but my soup and salad were still so delicious that they awoke my numb taste buds. You can, but don’t have to, eat traditional Polish food here. Many meals are based on traditional recipes but feature a modern twist. 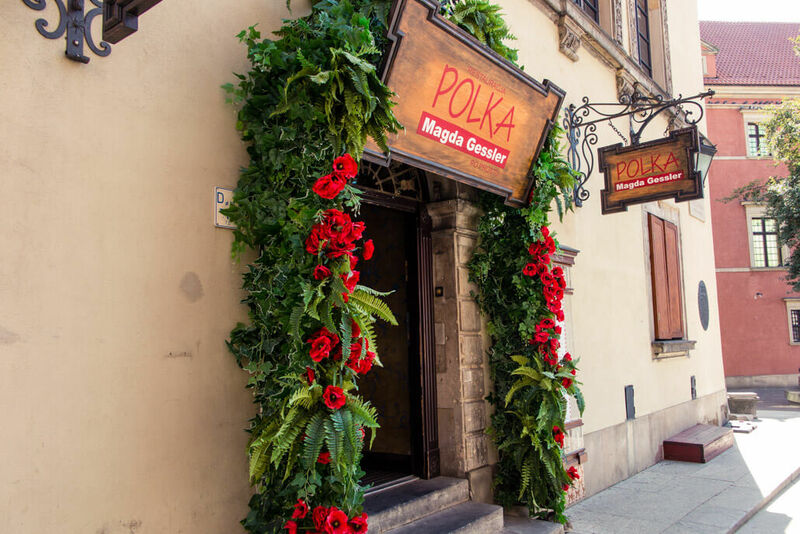 Inside Polka Restaurant. Lovely decor, right? If you need a more in-depth food guide, check out this whole article on the best Polish food. 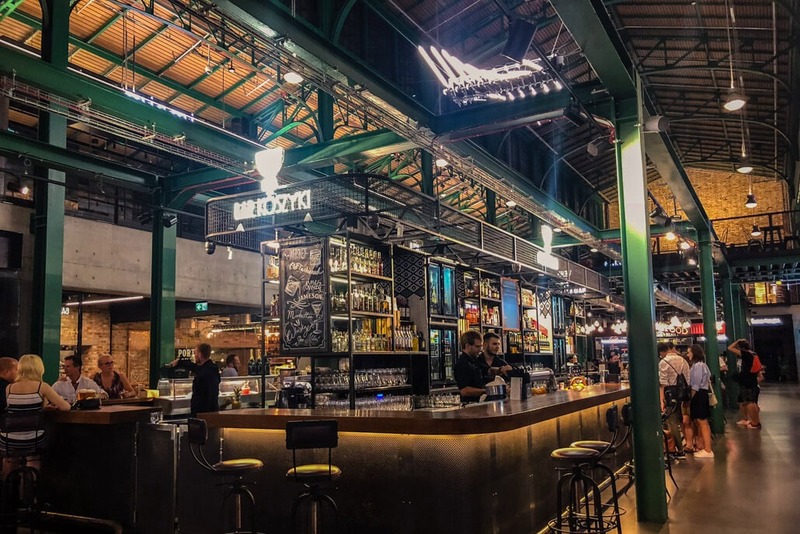 A trendy market hall recently reopened after 100 years features 18 different restaurants and bistros! This ‘hipsterish’ dining experience, the variety of food on offer and the laid-back atmosphere makes it a favorite option among locals. It’s a little far to walk there from the city center, so use a bus or a taxi. Inside Hala Koszyki. It looks quite cool, right? Now this is something even more unique. Imagine an old train station turned into a funky bar / restaurant and you’ve got Warszawa Powiśle. They make breakfast here, as well as pierogy. However the main draw is the space and the atmosphere. So come here in the evening, grab a beer and do some people-watching. Good fun is guaranteed. A restaurant & bar in a repurposed abandoned train station. How cool is that? Don’t be afraid to go vegan in Warsaw, as the city has a surprising number of options. I had a delicious dinner from a Mango Vegan Bistro at the above-mentioned Hala Koszyki, which also has a few other locations around the town. The Loving Hut vegan restaurant chain can also be found in Warsaw. There’s a plethora of cafés in Warsaw. From the typical touristy ones in the heart of the Old Town, to more sophisticated places with quality brews. You won’t make a mistake by going to the popular coffee chains – be it Costa Coffee or Café Nero, both located just off the Castle Square. Venturing out of the center can make things a lot more interesting! If you find yourself on the Nowy Świat thoroughfare, you’ll have a lot of café options. One good example is Wrzenie Świata, a cool bookstore and a café in one. Wrzenie Świata Bookstore & Cafe: If I lived in Warsaw, I’d be there all the time! During the super short amount of time I had in Warsaw, a fellow blogger and a friend, Kami from MyWanderlust.pl, showed me a lot of cool places. 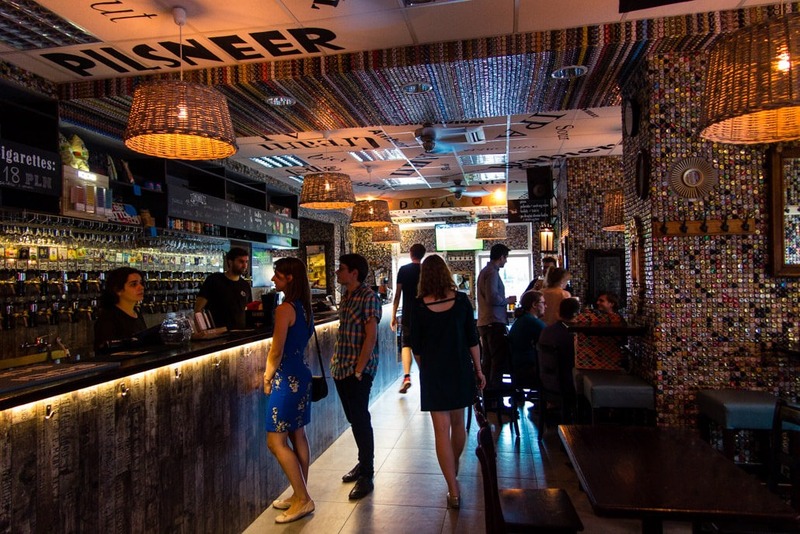 If you like cool pubs with a large variety of beers on tap, this is your place. An even higher concentration of bars and ‘hole in the wall’ places can be found at the Pawilony Nowy Świat, just off the Nowy Świat Road. Try out e.g. Naprawa or Klaps and let me know how you liked your drinks! I just love Warsaw’s quirky side. It’s everything. It’s traditional, it’s authentic, it’s trendy and it’s all blended together. 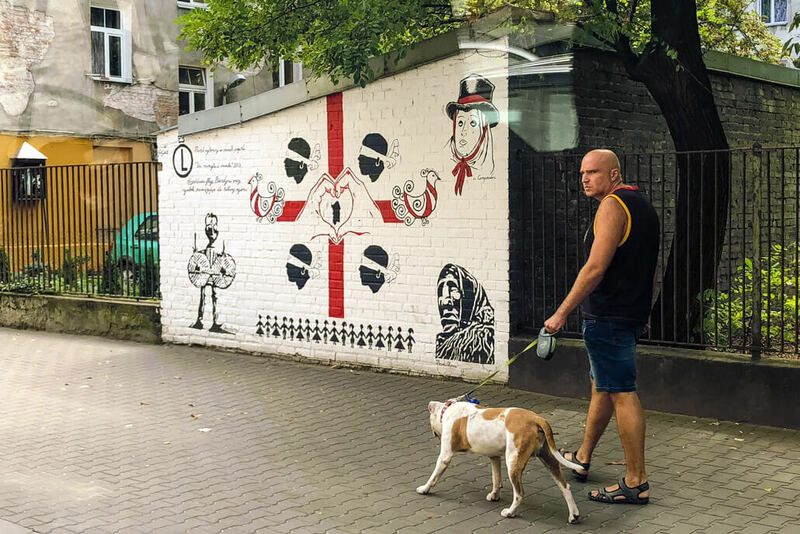 If you came not just for sightseeing but also to have fun in Warsaw, the quirkiness will tickle your fancy. 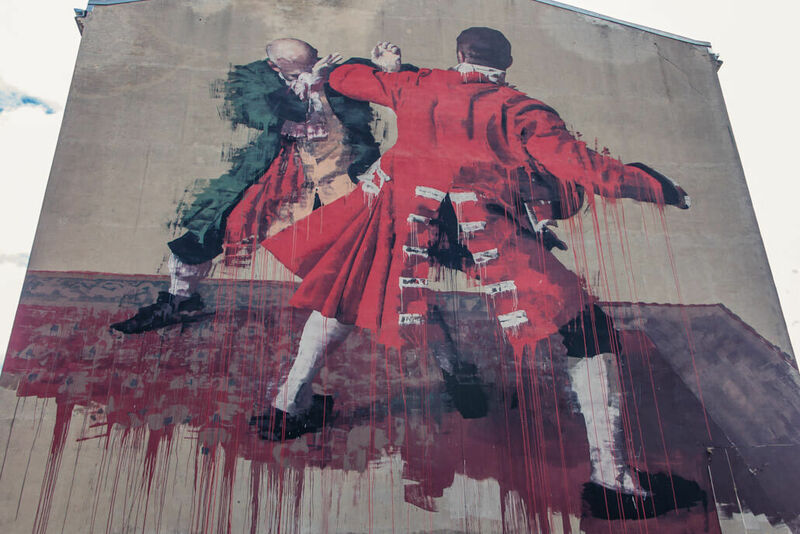 Street art is plentiful and randomly located. 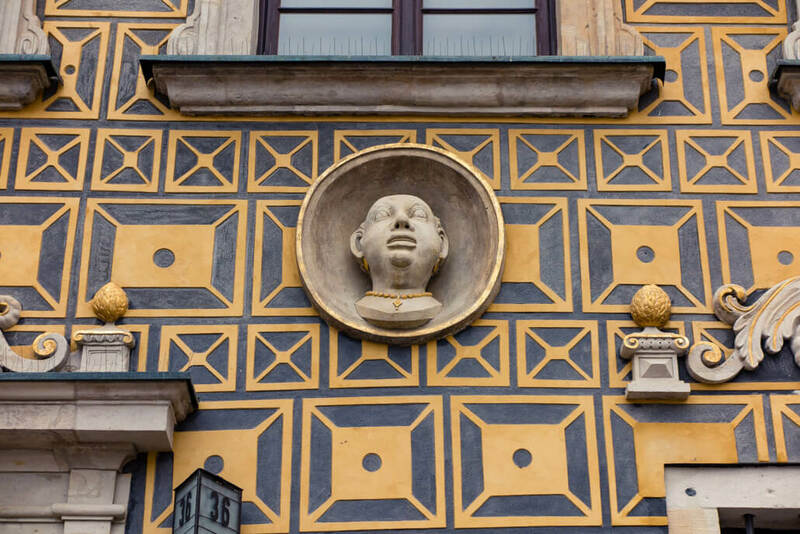 Most of it is in the Praga district, which has enough alternative places on its own. 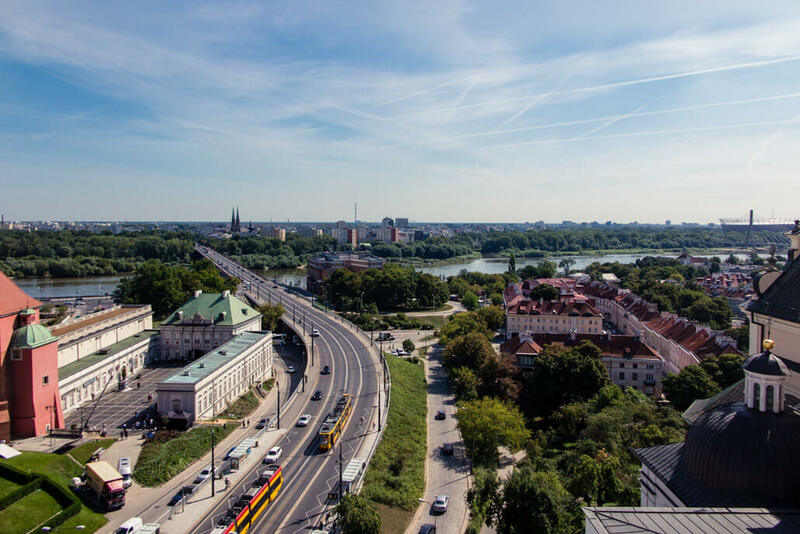 If you’re expecting top quality, be it in accommodation or food or services, you can find it in the Polish capital. 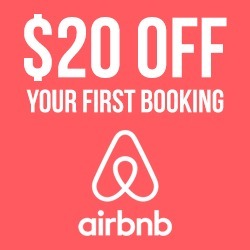 Of course, don’t just go to the most alternative areas and expect top-notch service. But when e.g. 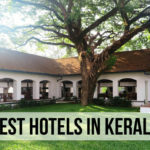 looking at accommodation, 5-star hotels are no exception here. 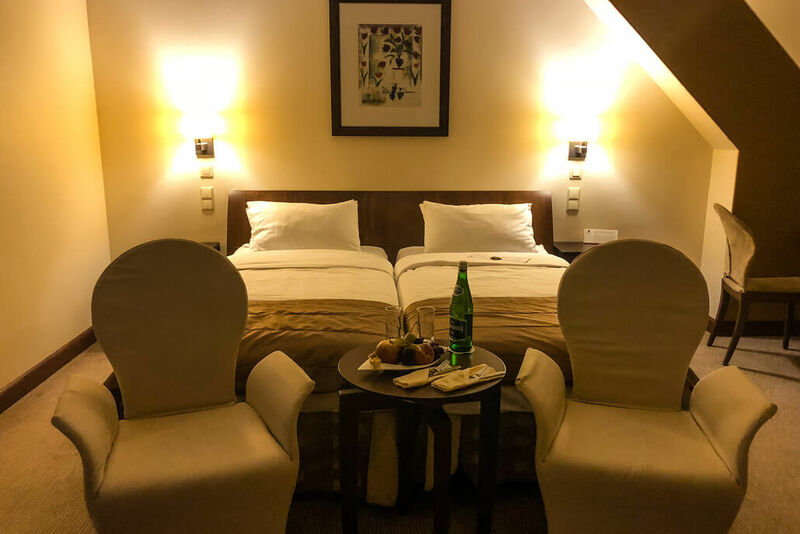 I stayed at the boutique hotel Mamaison Hotel Le Regina and the quality was impeccable. The walk-in bathroom had so much space you could nearly dance around. What I was most fond off, though, was the breakfast. I’m a sucker for hotel breakfasts. Here there were so many delicious and fresh things to taste that I struggled each morning to make a choice. Highly recommended! My room at Mamaison Le Regina Hotel. Too bad the amazing fruit bowl on the table is barely visible on the photo. Did you know that the world-famous composer Frédéric Chopin spent half of his life in Warsaw? That’s right! Even though he was not born in Warsaw, he was only a few months old when the family moved. It’s during his 20 years in Warsaw that the young Frederic developed his incredible talent. His first performances were in salons of Warsaw aristocrats at the young age of 8 and ultimately in the Warsaw National Theater. And Warsovians are particularly proud of that. He had to flee his homeland because of war and eventually ended up in France; that’s why the French sometimes appropriate his legacy as well. So how can you trace the heritage of Frederic Chopin in Warsaw? Chopin’s Airport: If you fly in or out of Warsaw, you’ll go through the airport which is named after Chopin himself. 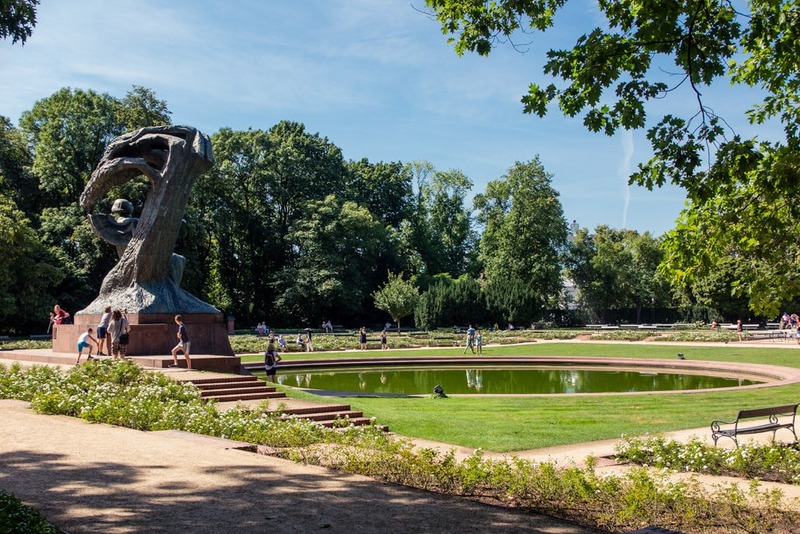 Chopin monument Warsaw: The main monument of Chopin, in larger-than-life size, was placed in the Łazienki Park already in 1926. Since the park is well worth visiting in its own right, you need to go there and why not visit Chopin’s monument too, right? In addition, there are often concerts held there and they’re supposedly amazing. 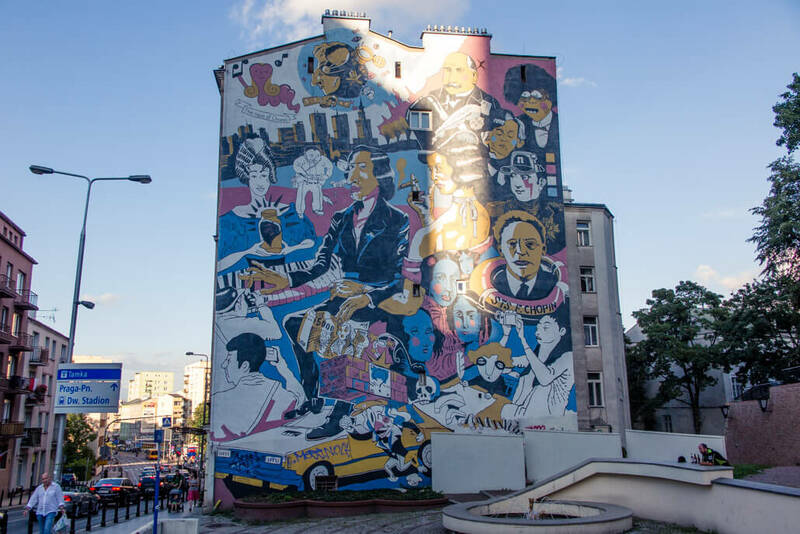 Chopin mural: And then there are the more subtle Chopin sights, like the giant mural located on the street Tamka 37. Fryderyk Chopin Museum Warsaw: This is the ultimate place where you should go to learn about the genius of Chopin and about his life. 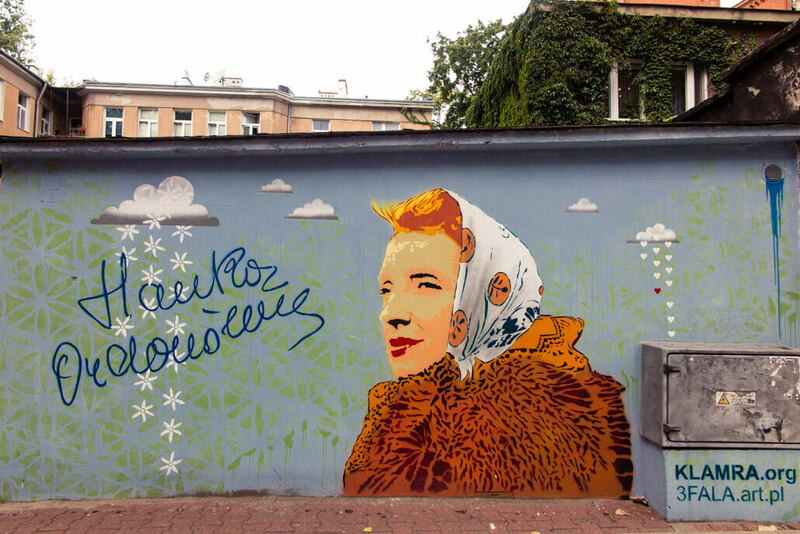 You might come across a Chopin-dedicated mural – there are at least two in the city. See all Chopin-related places on a handy map here. 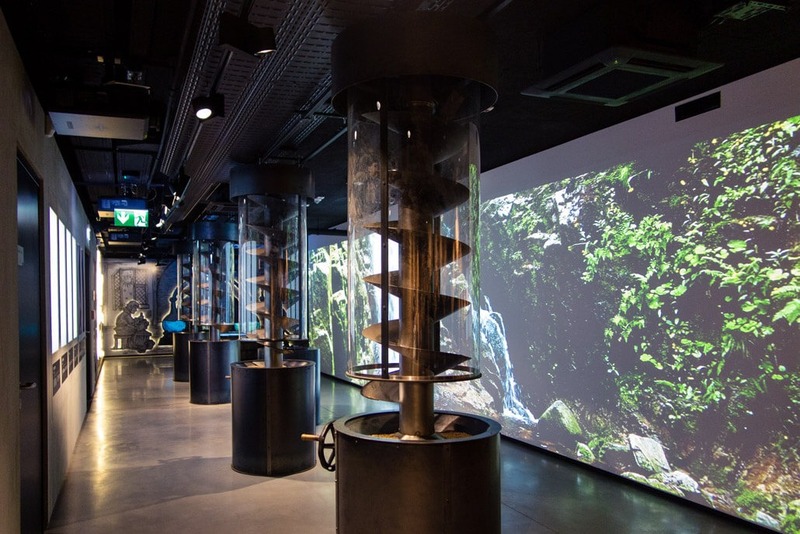 The museum is modern and interactive. 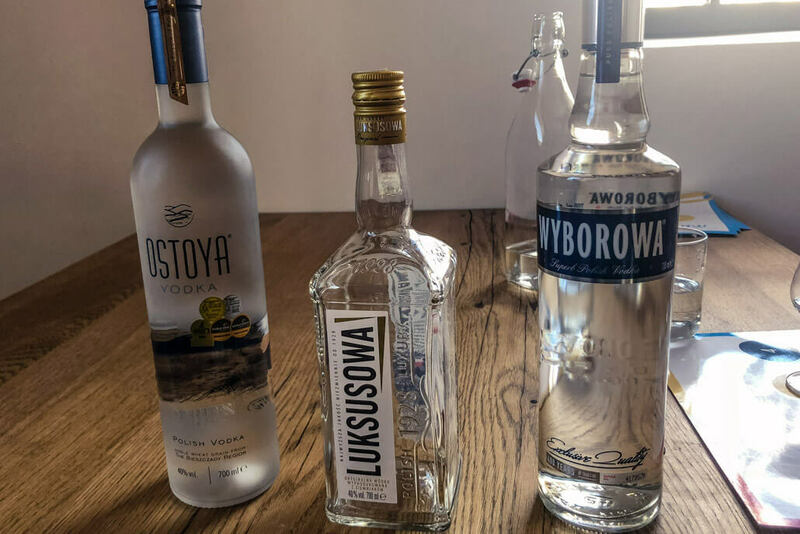 You’ll be able to play with rye, wheat or barley, to watch the whole distilling process nearly live and learn about the vodka making history in Poland. The liquor became popular in this corner of the world in the 17th century already. 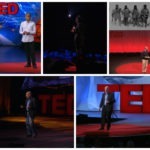 I need to repeat this – the museum is interactive! That means you can also learn a few funky ways to say ‘cheers’, you can learn some interesting stories tied to drinking and even try on goggles that’ll distort your vision as if you were drunk! At the end of the visit, there’s an optional vodka tasting. We tasted 3 samples of vodka made from rye, wheat and potatoes. The shots are fortunately quite small, but still it felt wild to be downing shots in the middle of the day :D My ‘favorite’ was the potato one, as it was the smoothest. The vodkas we tasted… Luksusowa was the smoothest! 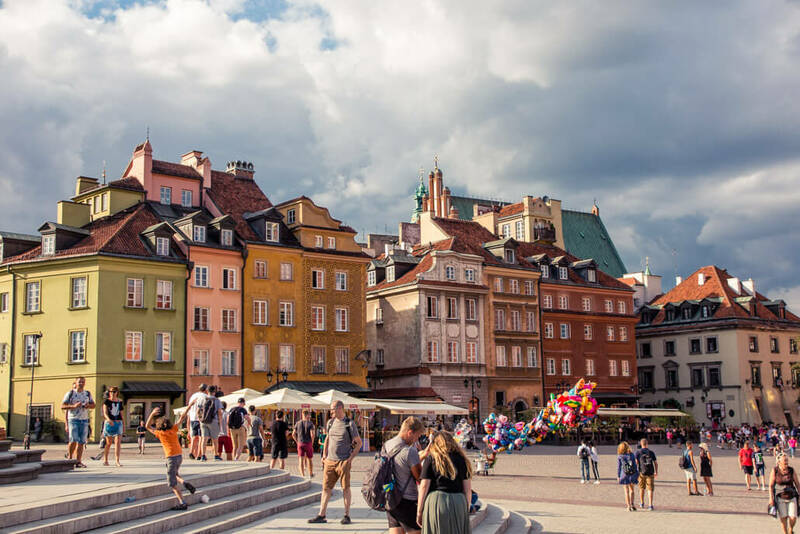 See other cool things to do in Warsaw here. It’s just so easy to get around Warsaw, you don’t need to rent a car at all. The best way to go about it is to position yourself strategically, ideally near the Old Town like we did at the Mamaison Hotel Le Regina. It’s pretty straightforward with the tickets, you can buy a ticket per single ride or e.g. a daily one. It only costs a couple of zlotys. 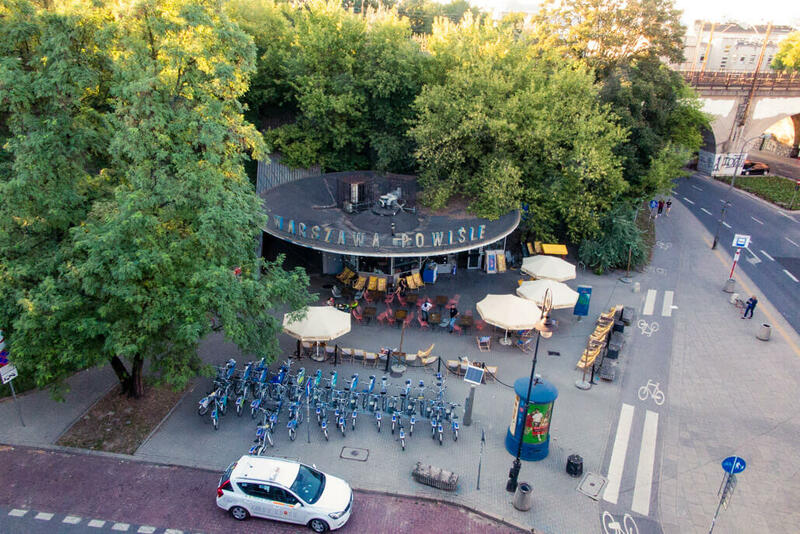 And if you love cycling, you can make use of Warsaw’s plentiful city rental bikes. Afternoon in Warsaw’s Castle Square. I need to go back one day! 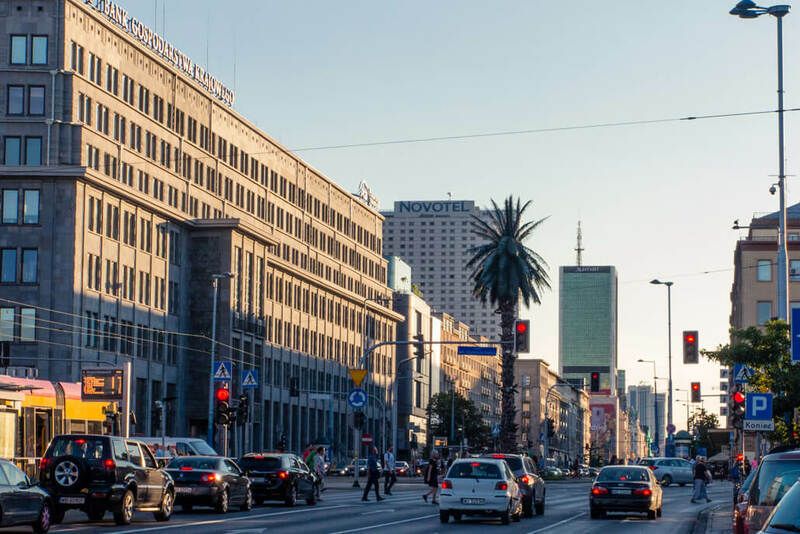 Warsaw ranks as the top city in Poland with the highest no. of students. That’s perhaps not unheard of since it’s the capital, but that fact gives the city yet another cool angle. It manifests itself mainly in all the fun places to go. Students love hanging out by the river, where there are many open bars and a few sun chairs scattered around. Some of the universities are housed in impressive buildings. E.g. 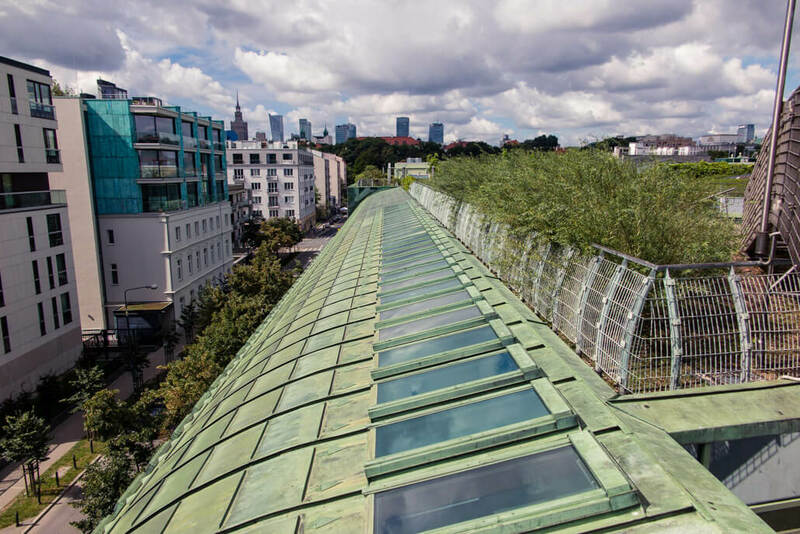 the lucky students coming to the University Library can enjoy breathtaking views of the city from the Library rooftop, which is a wonderful lush green oasis. Have you been to Warsaw? Or any other place in Poland? Tell me about your experience in the comments. 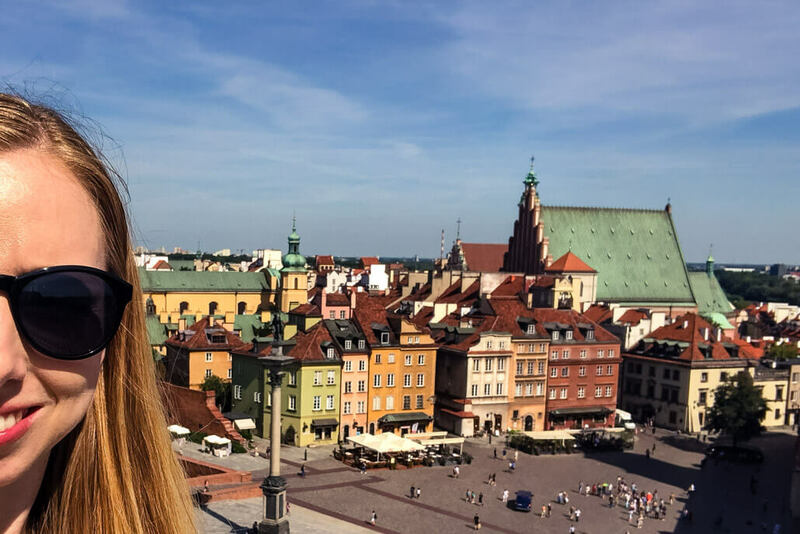 Disclosure: Veronika of TravelGeekery visited Warsaw on a sponsored trip organized by the boutique tour company JayWay Travel. Her opinions are, as always, her own and unbiased. I loved Poland when I visited it. The country has so much history, beautiful architecture and I learnt a lot about WWII, I was also not expecting the food to be so good and fresh!. I recommend visiting Poland to everyone now. Hello Delahaye, yes, then our experience has been similar! What cities did you visit? Living in London and having Polish friends, going to Poland was a must for me. I went to Krakow in 2016 and I absolutely loved it. I am flying to Bydgoszcz next week. I will take a train to Torun. but Warsaw is still in my list. thanks for the guide. Thank you for stopping by, Mutlu. Hope you enjoyed Bydgoszcz and Torun! I haven’t been there yet. You have portrayed why to visit Warsaw marvellously. The place is awesome and i can enjoy freely across the Warsaw. 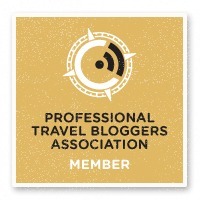 Thanks for giving me a perfect destinations for next trip. Thank you for the nice words, Aman. Superb information about warsaw poland. Nice post. Thanks for sharing. Yes, absolutely. If you appreciate history, Warsaw is a very important city to visit.